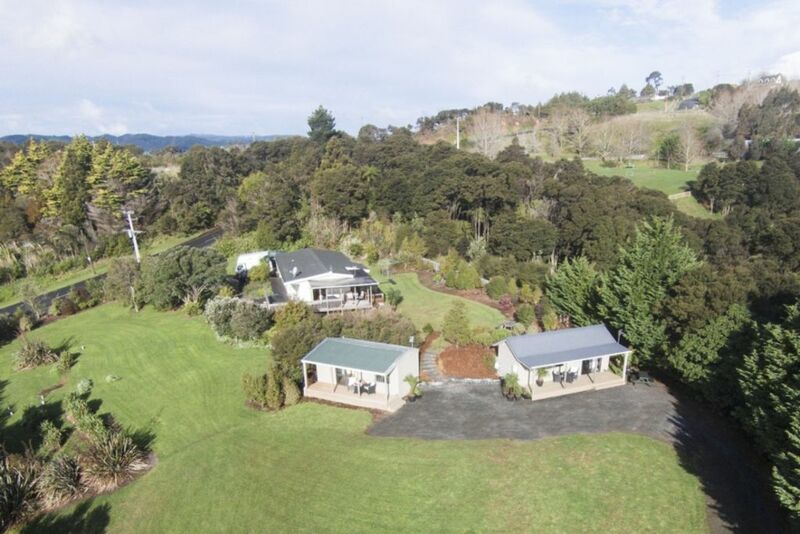 Arrive via your private bush clad drive way, to the tranquil and secluded setting, where you can relax in total privacy at the same time as being close to all that Clevedon and Auckland has to offer. This listing is for our Tui Cottage. We also have another cottage available (Fantail Cottage). See our other listing. of any allergies that may require alternative linen. 10 mins drive to Maraetai Beach. Windross Farm Golf Park is only 9kms away and is visible from the cottages. With our elevated position views are from the Manukau Harbour in the west to Hauraki Gulf in the east. Is on the deck of the main house. Is available for guests use. Thank you Carolyn for an enjoyable stay. The cottage was comfortable, cosy & clean. We so enjoyed being able to return to the comfort & serenity of our cottage from a day of sailing. Thank you again for making our stay memorable and without issue...loved the spa time too! Quiet and peaceful, with beautiful views overlooking the valley. a wonderful friendly place. Private. Excellent breakfast provided. The place in itself was very clean, super comfy and very close from Clevedon. It allowed to enjoy Clevedon, Splore and have a quiet place to rest and relax.